Sallie Mae is one of the premier sources of financial aid and advice for college-bound students in the United States. Sallie Mae offers a wide range of private student loans, college savings plans, tuition insurance programs and student targeted online banking services. For nearly 40 years, the organization has been dedicated to helping students and their families find the money they need to make the dream of a college education a reality. Sallie Mae was founded in 1972 as the Student Loan Marketing Association. Originally operating with government sponsorship, SLM/Sallie Mae began by administering both Federal and private sector loans for college students in need of financial assistance. Beginning in 1997, Sallie Mae began to privatize its operations, and by 2004 had severed all ties with the Federal government. Today, they are a wholly independent corporation that specializes in providing financial services for students and their families. Sallie Mae has been cited as one of America’s 100 Best Corporate Citizens. In addition to their wide array of student loans and college savings plans, Sallie Mae also supports the Sallie May Charitable Fund which is dedicated to increasing access to higher education for all of America’s students. The Sallie Mae Fund supports a variety of education initiatives, including grants, scholarships, employee volunteerism and community service. For many students in the United States, Sallie Mae offers a vital lifeline to accessible higher education. Sallie Mae began by administering the Federally sponsored college loan programs. Parents of college-bound students may recall securing their own Federal Stafford and Federal Perkins Loans through Sallie Mae. However, over the last few years all Federal student loans have reverted back to the government, and are now administered through the U.S. Department of Education. Today, Sallie Mae works with a large number of private lenders in order to offer low cost, low interest, loans for college-bound students. Sallie Mae offers the following general loans for students in the United States who are looking to fund their post-secondary education. The Smart Option Student Loan is offered to undergraduate students to help them finance their college education. The Smart Option Loan offers competitive variable and fixed interest rates, repayment deferment while the students remains in school, and has no origination fees. Student may borrow up to the full cost of their college tuition less any other financial aid already received. The Career Training Smart Option Loan is designed for undergraduate students pursuing specific career training at an accredited university or technical college. The loan offers low interest rates and highly flexible repayment plans. Students who have been approved for a Career Training Smart Option Loan may borrow up to 100% of their school certified cost of attendance. The Smart Option Student Loan for Graduate Students provides low interest loans to students pursuing graduate degrees at an accredited college or university. The loan has no origination fees or early repayment penalties, and offers a variety of flexible repayment options. The Sallie Mae Medical Residency and Relocation Loan provides much needed financial assistance to help medical students cover the expenses associated with finding a residency, including travel to interviews and relocation expenses. Recipients can take advantage of a three year deferment, and all money is disbursed directly to the borrower. The Sally Mae Dental Residency and Relocation Loan provides loan assistance for dental students to cover the expenses associated with finding and securing a residency. This low interest loan offers a three year deferment, and no penalties for early repayment. The Sallie Mae Bar Study Loan provides financial assistance to cover a law student’s bar exam costs, including the cost of review courses, bar exam deposits and fees, and living expenses. Sallie Mae has a long history of providing college loans to eligible students. But Sallie Mae offers many other services designed to make a higher education more accessible to a greater number of American’s. The Sallie Mae 529 Savings Plan is available in a dozen states including Colorado, New York, Arkansas and Pennsylvania. 529 Savings Plans help parents save for their child’s college education through tax-advantaged savings accounts. 529 Savings Plans can be opened immediately following the birth of a child, and parents can determine their own level of contributions. Tax incentives and tax advantages may vary depending on state of residence. Sallie Mae also offers a wide range of insurance plans for students, offering rates and services designed to meet the specific needs of young people attending college or university. These programs include tuition insurance, short-term health insurance, rental insurance and auto insurance. Interested students can apply directly through the Sallie Mae website. The Sallie Mae Corporation offers vital financial assistance for students searching for the necessary funds to pay for college. In addition to loans and savings plans, Sallie Mae provides much needed financial counseling for college-bound students. These resources have helped to put a college education within reach of more American students for nearly 40 years. Having said that, there is some borrowing advice that all students should take to heart. First and foremost, never borrow more money than you absolutely need to meet your education costs. A student loan is a contractually binding agreement, and you will be personally responsible for all of the debt that you create. Before applying for any private lender loans, be sure to exhaust all other financial aid opportunities including grants, scholarships and Federal student loans. Never rely on private student loans alone to pay for college. Before signing any loan agreement, be certain that you understand your responsibilities as a borrower. Ask for clarification on any parts of the loan agreement that you do not understand. Never agree to a loan if you are unsure as to how you will repay that loan. Finally, treat any student loan responsibly. Make your payments on time, and above all, avoid defaulting on any loan. 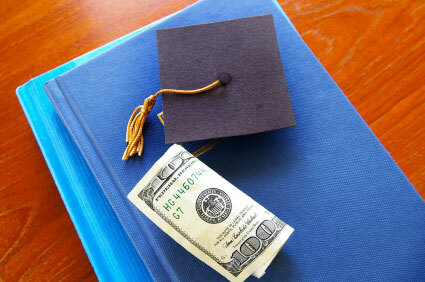 Student loans are vital component of the college financial aid equation. Treated responsibly, they provide much needed assistance to students who are struggling to meet the rising costs of a college education. If you are contemplating an education loan, Sallie Mae offers some of the most affordable and accessible private lender loans available to college-bound students in the United States.